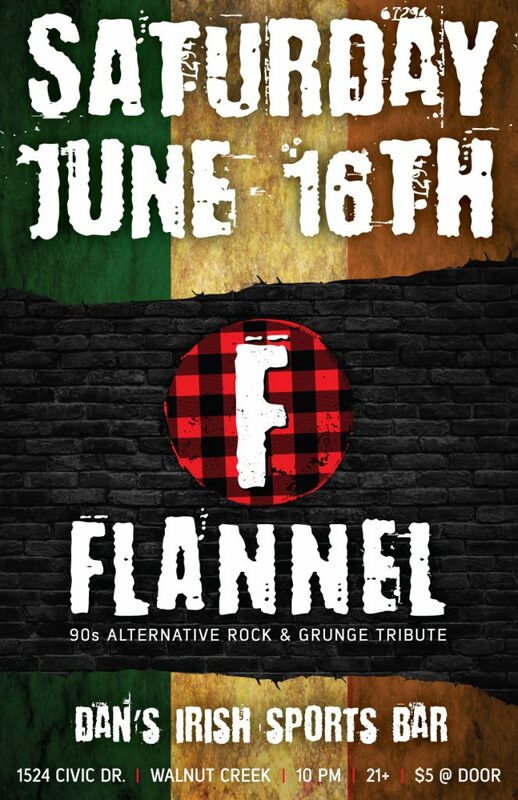 FLANNEL: ’90s Alternative Grunge Tribute rocks the masses at Dan’s Bar once again on Saturday, June 16th from 10:00pm-1:00am! Drink up! Rock Out! We’ll see you there!